Travis Kalanick is an American Businessman. He was the CEO of global taxi company Uber until his 2017 resignation. Who is Travis Kalanick, how old is he, when is his birthday, how tall is he, where is he from and what is his background? Travis Kalanick is the former CEO of Uber, and was involved with two peer-to-peer file sharing companies. He was born Travis Cordell Kalanick in Los Angeles on August 6, 1976, making him 42 years old. He’s estimated to be around 1.75 metres tall. Kalanick was born to a Jewish mother and Catholic father. His mother worked for The LA Daily News, and his father was a Civil Engineer. In the summer of 2017, his parents were involved in a serious boating accident which killed his mother and seriously injured his father. Kalanick has founded two tech startups. He studied at UCLA, but he dropped out to pursue his peer-to-peer business, Scour, full time. Why is Travis Kalanick famous and what is his occupation? 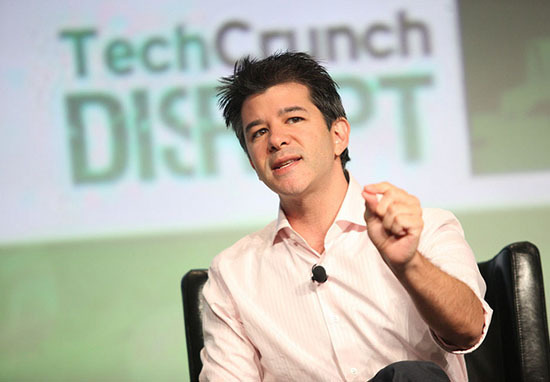 Kalanick is perhaps most famous for his involvement with Uber, the global transportation company. He was CEO until June 20 2017. Uber had been mired in controversy over sexual harassment allegations within the company, the culture of gender discrimination, and Kalanick’s alleged mishandling of these. Kalanick was also caught on camera arguing with one of Uber’s drivers about how difficult it was to make a living on Uber’s falling fares. These controversies prompted Kalanick to step down as CEO after facing pressure from board members. He still retains his seat on the board. What is Travis Kalanick’s net worth? Forbes estimated Kalanick’s real-time net worth on January 7 2018 as $5.1 billion. How much does Travis Kalanick earn? After stepping down from Uber, Kalanick will not currently earn a salary, but will gain benefits and income from his investments and shareholdings. How much does Travis Kalanick weigh? He is estimated to weigh 157 pounds, or 71kg. Does Travis Kalanick have any children? Travis Kalanick hasn’t fathered any children. Is Travis Kalanick a Trump supporter? Travis Kalanick joined Donald Trump’s Economic Advisory Council in December 2016; the move was met with widespread criticism. In February 2017, he stepped down in the wake of controversy regarding Trump’s immigration policies. Many Uber users took to Twitter, urging others to delete their Uber accounts, using the hashtag #DeleteUber. The viral campaign prompted Kalanick to state that his position on the council was not an endorsement of Trump’s policies. 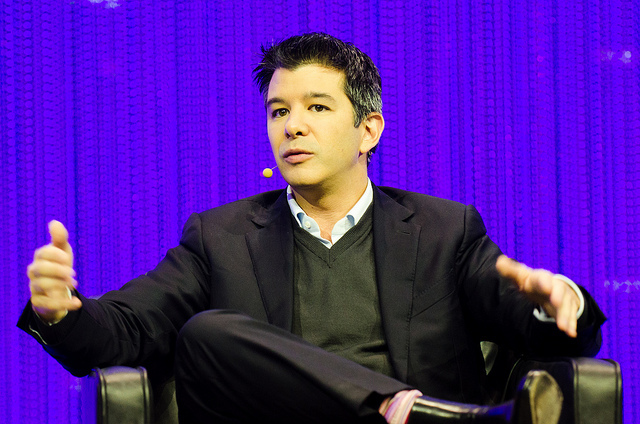 When did Travis Kalanick create Uber, who helped him to create Uber? 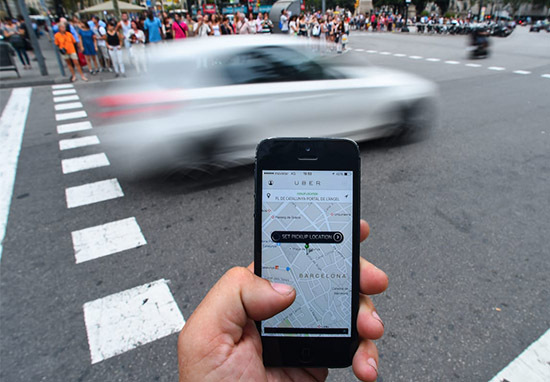 Kalanick set up Uber with Garret Camp, founder of StumbleUpon, who he has credited with coming up with the Uber idea. Uber was founded in March 2009, as UberCabs, before changing to Uber in 2011. 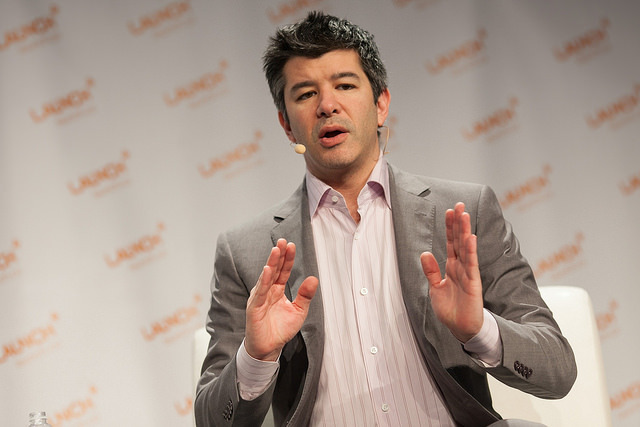 What was Travis Kalanick doing before he created Uber? Prior to creating Uber, Kalanick has co-founded two other companies; Scour, a multimedia search engine and peer-to-peer file sharing service. The company filed for bankruptcy in late 2000, after a copyright lawsuit was brought against it. After Scour, Kalanick set up Red Swoosh with Michael Todd, in 2001. Kalanick blogged about his financial struggles while setting up Red Swoosh. The company was acquired in 2007 by Akamai Technologies for $19 million. Is Travis Kalanick married, who has he dated in the past, was he married? Kalanick has never married. He has had two long-term relationships; one with Angie You, and one with violinist Gabi Holzwarth. Their relationship began in 2014 and ended in 2016.